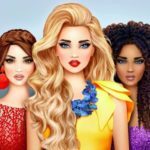 Superstar Fashion Girl by Animoca Collective is an iOS and Android game that’s quite similar in concept to Glu Games’ Kim Kardashian: Hollywood and Stardom: Hollywood. It’s one of those games where your goal is to become as famous as possible, starting out as nobody and eventually becoming an A-list celebrity. 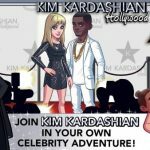 According to the developer, you can work as a virtual singer, dancer, sports celebrity, and model in the pursuit of fame, and that’s going to require wearing high-end designer clothes, all sorts of accessories, the most glamorous hairdos, and more. There are many things you can do in this game, and that also includes hanging out with other celebrities and dating cute guys. 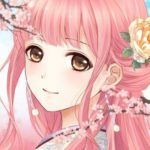 Since we’re guessing you’re checking this article out for some tips and hints, that’s exactly what we’re going to give you – a list of Superstar Fashion Girl cheats, tips and hints that can allow you to earn more coins and gems. Becoming a superstar isn’t all fun and games – especially if you’re just starting out, you’ll need to work, and you can do this by going to the Job Center and choosing from a list of available jobs. Completing these jobs may take some time, but in the end you’ll earn yourself coins and experience. These jobs come with more than one stage, and some stages are locked unless your character’s reached the appropriate level. Gems are the game’s premium currency, and you can accumulate more gems by watching advertisement videos. It may seem a bit tedious to sit through an ad video, but these videos don’t last too long, and you’ll, of course, be rewarded in the end. You can also earn gems by playing the Superstar Coins mini-game, or downloading sponsored apps. Lastly, you can pay real money for gems, though we wouldn’t always recommend that. If you’re able to make a coin drop into the slot on the extreme left or extreme right of the Lucky Draw machine, you’ll have a chance to play the slots. If the slot machine ends up on one of the available payout combinations, you can get yourself some nice goodies, including coins, energy, and experience points. Dating is another important part of Superstar Fashion Girl, and you can start looking for boys to date by going to the Train Station. You’ll need to take a train to visit these guys and meet up with them, and once the date begins, you’ll have to do a number of things. You have to flirt with them and do other sweet things – some of these would cost you some energy, while others, like buying them cupcakes or scarves, will cost you coins. Keep on being nice to the guys you date and they can end up as your permanent boyfriend. They’ll reward you with gifts, and this would normally include more coins, more gems, more energy, or more clothes.